Specialist in all inclusive Hajj and Umrah packages. Haj & Umra Travel is the first specialist tour operator to offer pilgrimage tours from the UK. For those of you privileged to have visited Makkah to perform the Hajj pilgrimage, you will know the immense and meticulous planning that is required to carefully arrange your trip. Makkah as you may or may not know is the most important holy meeting site in Islam. Discovering this website means you can have more time preparing to demonstrate your solidarity with your fellow Muslim and your subsequent submission to Allah whilst attending Hajj. Attending the annual pilgrimage to Makkah, millions of Muslims from around the world will have spent many months preparing for their journey. As one of the largest pilgrimages in the world, Hajj, the demonstration of the solidarity of people and their submission to Allah is likely to be the most important trip of a Muslim’s life. At Hajj and Umrah Travel we understand the importance of this sacred occasion which is why we have spent endless time and effort to ensure all your travel needs and requirements are taken care of. We are proud to be the UK’s first tour operator to offer pilgrimage tours, and as such we cater for the nation’s entire Muslim community. With our professional assistance and expert planning we can easily cater for individual travellers and dedicated Hajj groups, providing all the necessary bookings and itineraries. Al Hamdulillah every year we have been able to cater for the whole Muslim community in the UK; serving pilgrims from every national background and school of thought. As one of the most proficient Hajj tour operators, the first offering this important service from the UK, here at hajj.co.uk we strive to ensure that all your travel needs are accommodated and that your satisfaction is paramount. Our ability to be the one UK travel agent offering sacred pilgrimage tours from the United Kingdom means that now many UK residents can benefit from booking one of our Hajj packages. Registration for our Hajj 2018 tours is now open. Hajj travel arrangements offered in our Hajj tours make your journey as spectacular and spiritual as possible. Here at hajj.co.uk we aim to make Hajj as memorable and enchanting for you as possible. Giving you the ability to access the best accommodation facilities will enable you to experience more from your time participating in the Hajj pilgrimage. 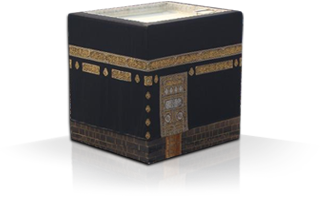 Providing exceptional Hajj services for our customers, here at hajj.co.uk we aim to make your journey a pleasant and highly beneficial one, offering helpful advice and information on the upcoming proceedings, as well as a dedicated Haj and Umra Travel representative stationed in Saudi Arabia who can assist in required rituals such as Qurbani. If you require assistance and help in organising your Hajj group bookings, simply ask one our advisors here at Haj and Umra Travel. We hold a wealth of information and expertise to professionally assist and offer the best advice to ensure your journey runs smoothly. Bookings are now being taken so we invite you to discover how swiftly we can arrange your travel plans for this year’s Hajj and many more to come in the future. With over 50 years’ experience in providing Hajj and Umrah packages, you can rest assured that your trip is in the best hands. All our staff have an unrivalled understanding of the pilgrimage and are always on hand to offer advice on the event. It will also be of great comfort to many to know that each tour will have a dedicated Hajj and Umrah travel representative from our team based in Saudi Arabia to offer help with required rituals. Our excellent organisation and attention to detail enables you to hand the entire planning aspect over to us, leaving you to concentrate on the most important holy meeting in Islam. As soon as you book, we begin taking care of everything in our Hajj packages from accommodation and flight arrangements to coach travel between prayers and rituals, all carefully timed to allow moments of rest in between. Our excellent organisation and attention to detail enables you to hand the entire planning aspect over to us, leaving you to concentrate on the most important holy meeting in Islam. As soon as you book, we begin taking care of everything in our Hajj packages from accommodation and flight arrangements to coach travel between prayers and rituals, all carefully timed to allow moments of rest in between. Including a series of ritual acts symbolic of the lives of Ibrahim and Hajar, Umrah, although not compulsory as Hajj is, it is still highly recommended within the faith and making the journey with a specialist company allows you to travel together with others in the traditional pilgrim expression of unity. We offer helpful advice on everything from flight and booking arrangements to the rituals themselves. Travelling abroad can be stressful, but we aim to take the hassle out of Hajj and Umrah packages. Haj & Umra Travel Limited has over 50 years experience in organising Hajj & Umrah Tours. We offer a range of Umrah packages to suit a range of budgets and durations, tailored to the specific needs of many individuals. Having the resources to hand to make your experience at Umrah as memorable as possible, here at haj.co.uk. Included with the Umrah tours that we provide are your return flights to London, accommodation within 3 to 5 star hotels located specifically within easy walking distance of the Haramain Sharifain and much more including air conditioned transport to and from locations whilst at your destination. Now taking bookings for the 2019 Umrah Tours, we are proud to provide details on accommodation and transport facilities that will be in place to cater to your requirements. With a number of different dates available to cater for the high numbers of pilgrims, we advise to book early to avoid any disappointment. Spanning across January through to July, the Umrah packages that we offer look to provide a superb experience. If you require professional assistance with your Umrah travel arrangements today, then contact haj.co.uk for expert advice and guidance now. Our aim is to be as flexible to your needs as possible. We understand that everyone has different financial circumstances, and some may wish to stay for a shorter duration than others due to family or other commitments, which is why we provide packages for different lengths and budgets. As well as arranging return flights to London, we also allow you to choose accommodation from an impressive range of air conditioned 3-5 star hotels, all situated within a short distance from the Haramain Sharifain, which is why we are number one for Umrah and Hajj packages.